Honda City Aspire is one of the popular cars in Pakistan. 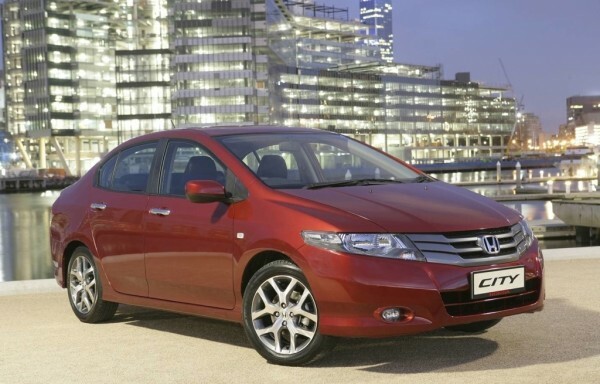 Honda has updated City on right time and it has helped in maintaining its market share. Honda has given a mid-life update to beat the competition especially the Ciaz and the Verna. 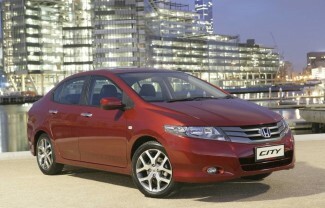 The New Honda City gets a facelift and design changes. Some new features are also introduced. A new top-end variant has also been introduced which has attracted the attention of car buyers. The front face of Honda City Aspire is bolder after the facelift. 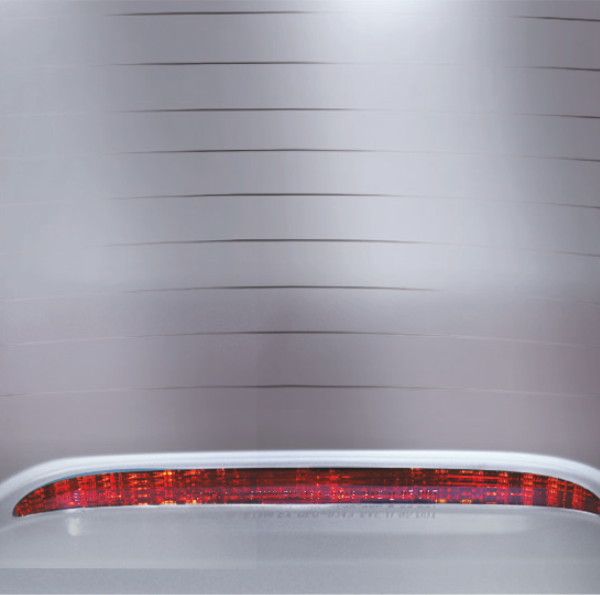 It is now equipped with a new honeycomb grill, bigger head-lamps with LED and DRLs. New City also has a redesigned bumper. Another change on sides is new 16” alloys (only for top-end; rest are with 15” alloys). The rear end looks modern and different with its new and edgy honeycomb-design bumper, boot lid spoiler, LED stop lamp and LED tail-lamps. 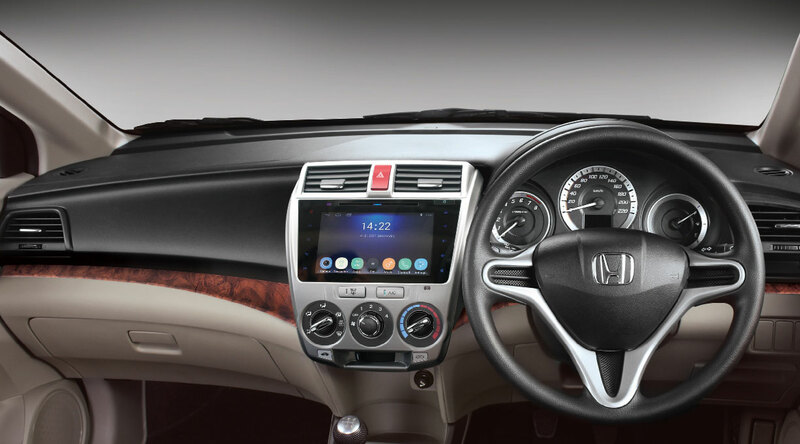 Honda has equipped the new City Aspire with many features, like – reversing camera, sunroof, keyless entry & go, feather-touch climate control, extremely spacious cabin and rear AC vents. 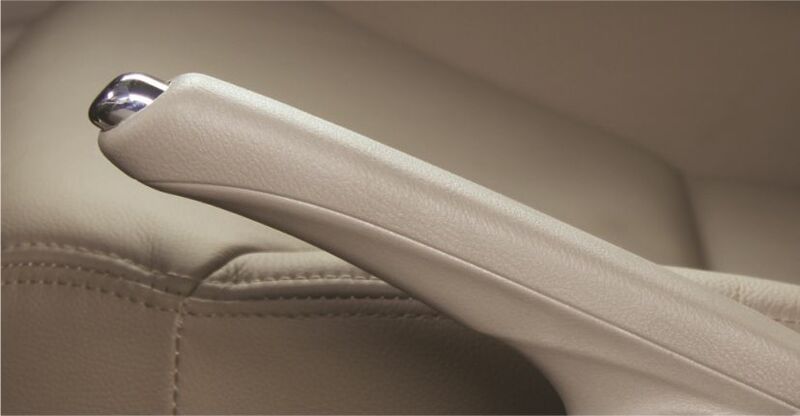 There are some other new features in touch-sensitive controls. 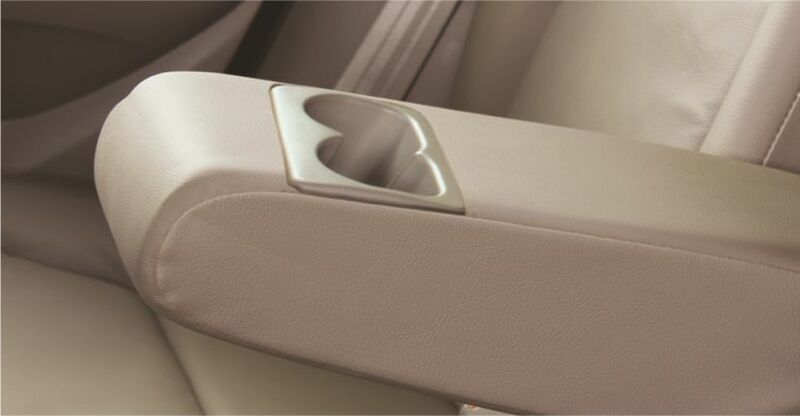 It is one of the solid and strong choices in sedan offering the premium features. 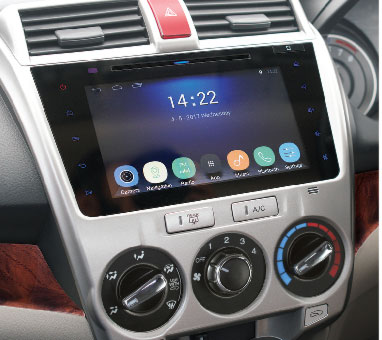 The new city now has a 7″ touchscreen multi-function infotainment display. It is enclosed by a beautiful piano-black panel. 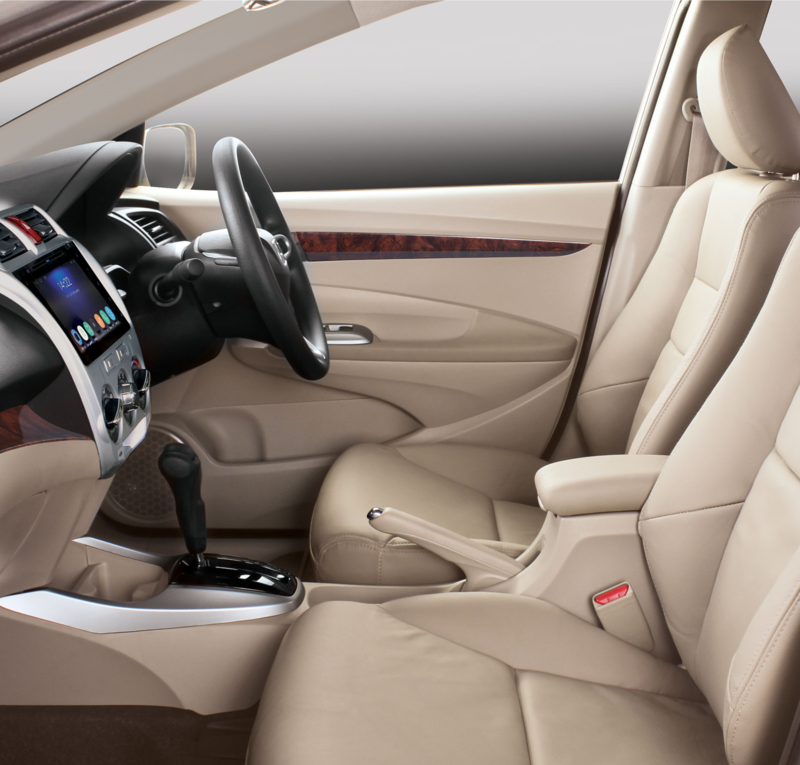 The instrumentation cluster is chrome-finished, giving it a first-class feel, the City Aspire is famous for. 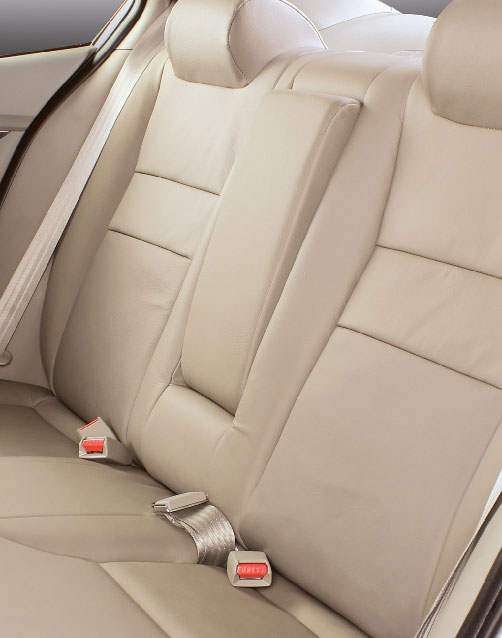 Its large super-cushioned front seats offer comfort and there is a spacious leg/head/shoulder room in front and rear rows. The floor is pretty comforting for the feet due to its slant angle. Its petrol engine is powered by a 1.5L i-VTEC technology producing 120ps power and 145Nmm peak torque. Gearbox comes mated to either a 5-speed manual transmission or a CVT. 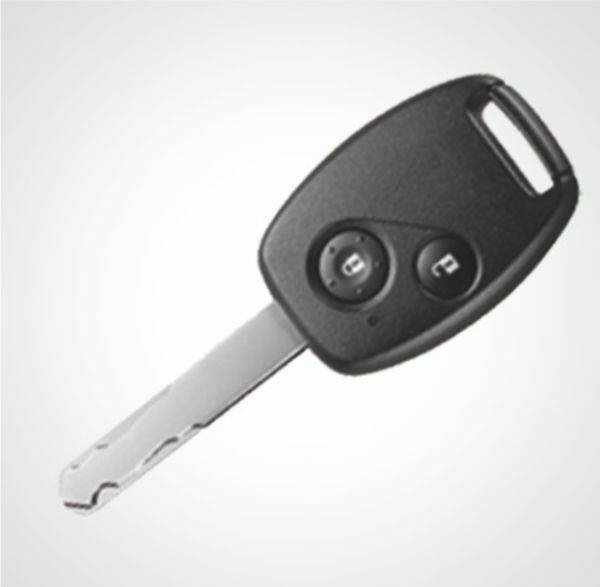 Honda City MT offers 17.4 km/L and the CVT (petrol) gives 18kmpl. The ride and handling of remains similar to the older model with its Mac Pherson Struts in front and rear. There is an H-shaped torsion beam. The adaptable suspension absorbs minor bumps with ease and the NVH levels have also been enhanced. The overall dynamics are the same as in its previous models.